There has been a rapid rise in the number of positive clinical outputs from clinical studies based on gene and cell therapies. 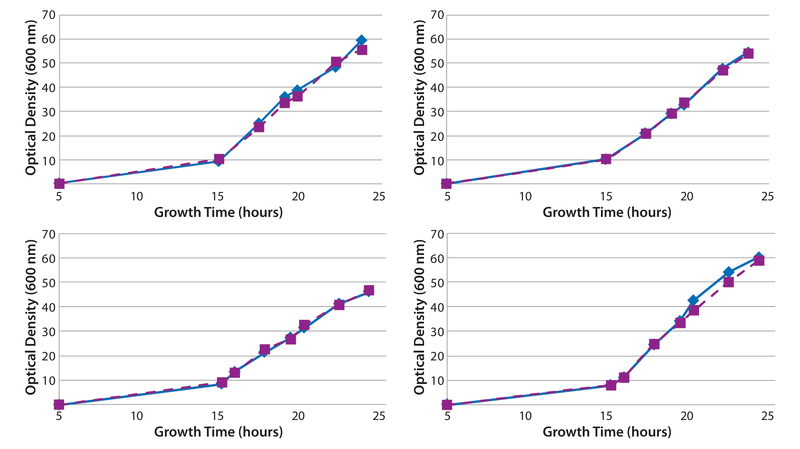 This is in addition to the licensing of products such as GlaxoSmithKline’s Strimvelis ex-vivo stem-cell therapy for treatment of severe combined immunodeficiency caused by adenosine deaminase deficiency (ADA-SCID) in 2016 (1) — has led to an increase in demand for therapeutic vector manufacturing capabilities. Viral vectors are being used for an increasing range of conditions, including monogenetic conditions. Recently cell engineering has led to T cells that express chimeric antigen receptors (CAR-T) as well as gene-editing based therapies. Those advancements are reflected in predictions that the total gene-therapy market will grow to US$9.1–12.6 billion by 2025 (2) and the associated manufacturing market to $1.335 billion by 2026 (3). About 90% of such therapies will be based on viral vectors, with an increasing trend toward using adeno-associated virus (AAV) and lentiviral vectors produced through transient production routes based on three or four plasmid DNA vectors for each transfection. Additionally, some promising results are coming from therapies based on the use of naked or encapsulated plasmid DNA (4). Figure 1 overviews current uses of plasmid DNA as vectors for use in advanced therapies. The manufacturing requirements for plasmid DNA often vary in amounts produced and associated quality systems, with phase-dependent dependent approaches applied especially to the plasmids used for viral-vector construction. Additionally, drug developers are developing increasingly broad product pipelines based on cell-engineering and gene-editing technologies. In response to those demands, contract development and manufacturing organizations (CDMOs) such as Cobra Biologics have developed flexible development and manufacturing platforms to meet client requirements for scale, quality, time, and cost. Such manufacturers offer high-quality (HQ) production of plasmids made to traceable standards as well as those of good manufacturing practice (GMP) grade, all used to manufacture viral vectors. Vectors are used for early phase clinical studies. Clients take a phase-based approach to quality standards, using GMP plasmids for later phases. Plasmid DNA is generated from Escherichia coli fermentation systems. Although it is possible to apply a level of standardization, it is impossible to apply a fully generic approach to larger scale plasmid production processes. The variability of plasmid size and sequence necessitates some degree of assessment and optimization for products required at a larger scale (1 g/L titers and more), for which it is necessary to perform intensified optimization. Additionally, for later phase products — and those using plasmid DNA as the drug substance — increasing expectations call for quality by design (QbD) approaches throughout development. All that creates very significant demands on fermentation development platforms. Traditional approaches have been based on shake flasks followed by stand-alone 1-L to 5-L benchtop fermentors. This has increased the need for scalable, cost-effective, high-throughput, small-scale bioreactor models. Fermentation assessment usually occurs in two stages. The initial stage uses shake flasks to assess parameters such as media components and growth temperatures. Although they are widely used as simple and inexpensive development tools, shake-flask–based studies have clear limitations with regard to defining and predicting fermentation processes: They do not allow for control of key parameters such as dissolved oxygen (DO) content or pH level. It is difficult to establish feeding regimens, which are critical both to achieving high biomasses and to optimizing high plasmid yields while maintaining plasmid integrity. Additionally, because shake flasks require a large number of manual interventions, associated processes are laborious and prone to human error. That can reduce the quality of data generated from such studies. The second stage of fermentation development involves benchtop fermentors. Traditionally, these are glass vessels of about 5-L scale, each with its own control system. Operation of such systems also is laborious because of the time it takes to clean, set up, sterilize, and calibrate DO and pH probes for individual vessels. So throughput is limited here as well, as is the number of vessels that can be run in parallel — often a maximum of four. Because such vessels also are run by individual controllers, associated process reproducibility can be poor. Thus, the level of confidence in results from single experiments can be low, creating a need to run parallel or replicate cultures to improve confidence levels. Doing so often slows down and restricts development activities while increasing cost. Although there is a need for greater implementation of design of experiments (DoE) and QbD approaches, in practice both are time consuming and costly to implement. Consequently, QbD and DoE adoption rates are lower than they should be. So the final choice of fermentation conditions may be suboptimal for many processes and products, adversely affecting yield and productivity and increasing the risk of failure on scaling up. Therefore, developers need to implement reproducible, high-throughput fermentation platforms that allow for larger and statistically more powerful experiments to be carried out than have been possible in the past. Such capabilities would enable small-scale optimization of plasmid DNA cultivation conditions with improved confidence in the scalability of results, reducing risk in scale-up. Application of Single-Use Technology for Plasmid DNA Scale-Up: In the past decade, single-use miniature and microscale bioreactors have been adopted widely in biopharmaceutical facilities for scalingup mammalian and microbial cell cultures in biologics production (5, 6). 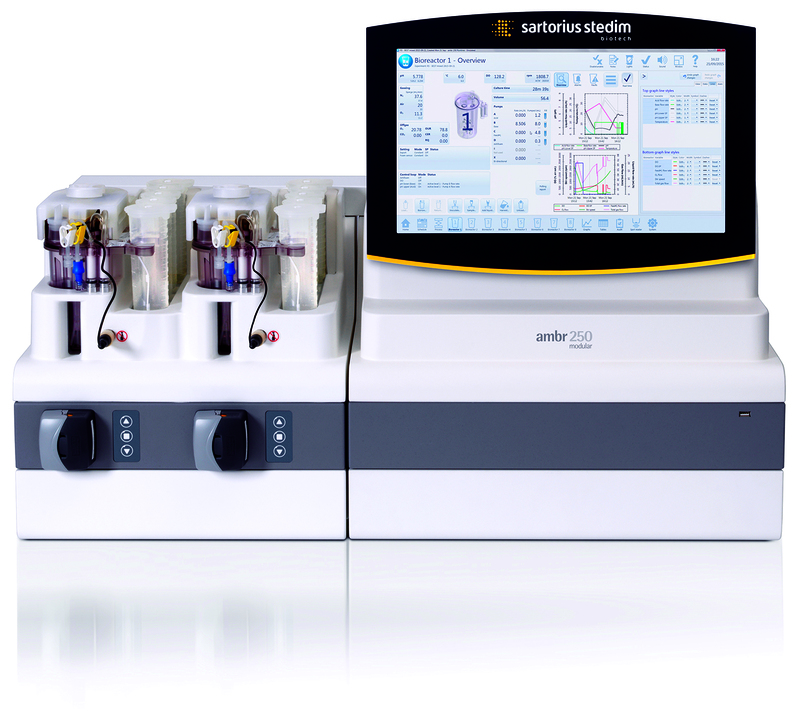 To determine whether a single-use bioreactor system can help in developing a platform approach for microbial plasmid DNA scale-up, Cobra compared the reproducibility, scalability, and productivity of an ambr 250 modular automated minibioreactor system (from Sartorius Stedim Biotech) with a traditional 5-L glass bioreactor. The modular minibioreactor is a more compact and expandable version of ambr 250 high-throughput technology, which has been shown to be an efficient scale-down model for E. coli cell culture (7). Results have indicated that the modular system could be suitable in developing a fast-track platform process for plasmid DNA scale-up. 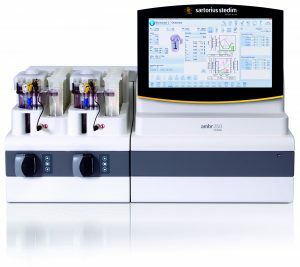 An ambr 250 modular system (Photo 1) consists of three key components: a single-use miniature bioreactor (working volume of 100–250 mL), a benchtop control workstation, and touch-screen–operated software. A basic system contains two minibioreactors that can be expanded to handle four, six, or eight minibioreactors, all of which have completely individual process control for all parameters including pH, DO, temperature, and agitation — with optional O2/CO2 off-gas measurement. To enable a rapid and user-friendly “fill-and-connect” workflow for set-up, each presterilized single-use bioreactor is optimized for easy experimental setup and turnaround, including integrated sensors, reagent reservoirs, and single-use syringe pumps. As Photo 2 shows, bioreactor vessels contain Rushton (microbial) or pitched-blade (mammalian) impellers and are geometrically similar to larger Sartorius bioreactors to facilitate scale-up. Singleuse syringe pumps provide highly accurate additions of nutrients and feeds to refine feed control and increase process consistency. We evaluated performance of such a single-use bioreactor initially to compare media systems for a range of plasmid vectors. Also, we assessed the reproducibility of the single-use bioreactor system in parallel and compared its performance to that of 5-L scale fermentors. Finally, we determined the associated labor required and development times for both a single-use ambr 250 modular system and reusable benchtop fermentors. 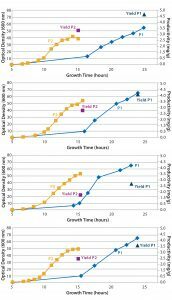 Productivity Screening: Our initial study used four different plasmid constructs grown with two sets of media conditions. Scientists sampled the experimental cultures over a 24-hour period so that plasmid productivity could be determined at the end of the experiment. Fermentation conditions and induction points were based on Cobra’s in-house platform process. Figure 2: Growth curves of four Escherichia coli strains containing different plasmid DNA constructs cultured with chemically defined media (blue diamonds) and complex feed media (yellow squares) in single-use bioreactors; plasmid DNA titer at harvest also is shown for both chemically defined media (dark blue triangle) and complex feed media (purple square). Reproducibility: As part of our initial evaluation of the single-use system, we ran control experiments using duplicate vessels with different plasmid constructs and chemically defined media. E. coli cells were measured at OD600 over a 24-hour period. Scalability: To demonstrate the level of comparability between the two types of vessel for scaling up bioprocesses, we compared performance of the ambr 250 modular system directly with that of a 5-L bioreactor. Productivity Screening: Using an ambr 250 modular system in a screening experiment, Cobra scientists performed eight fermentations with four different plasmid DNA constructs, cultured in either chemically defined or complex feed media (Figure 2). Single-use bioreactors eliminated the need for expensive, time-consuming, and resource-intensive cleaning and sterilization activities. Those operational changes led to a possible 80% increase in experimental capacity for plasmid DNA screening studies over that of an autoclavable benchtop bioreactor approach. In addition, improved scalability of the ambr 250 modular system increased confidence over that of shake-flask screenings. Therefore, the strain screening results from microbioreactors could be carried forward with a greater degree of confidence while reducing risk of issues when scaling-up. 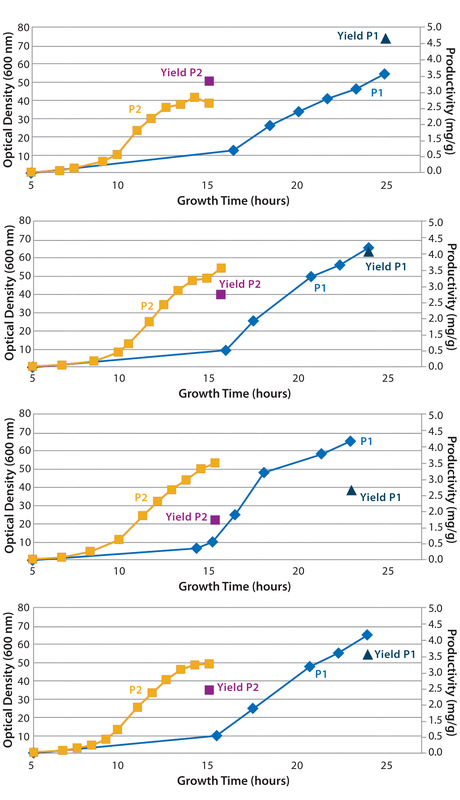 Reproducibility: Cell-density data (Figure 3) illustrate that growth curves for E. coli containing the plasmid DNA control have a high degree of reproducibility from vessel to vessel across eight different single-use bioreactors, with induction of growth occurring at the same time point and comparable cell densities reached after a 24-hour fermentation. That process consistency provides better resolution and statistical power in experimental studies than similar cultures in shake flasks, enabling us to reach clearer conclusions and make better decisions supporting high-resolution QbD studies. Such high experimental consistency, together with adoption of a specific bioreactor platform, also can facilitate technology transfer for plasmid DNA production bioprocess across different systems, operators, and laboratories. Reproducibility of the data provides us with the confidence to reach experimental conclusions using our single-use bioreactor model. That allows Cobra’s scientists to make full use of DoE-based approaches to optimize and characterize their fermentation processes. Scalability: Direct linear scalability is crucial in process development, and our data (Figure 4) show good correlation between the 5-L benchtop bioreactor and the ambr 250 modular single-use bioreactor, with induction of growth occurring at the same time point and comparable cell densities reached after a 35-hour fermentation. Those results indicate that single-use bioreactors are suitable for developing scale-down models based on different biomanufacturing systems — and that they could be used to provide accurate predictions on manufacturing-scale processes. 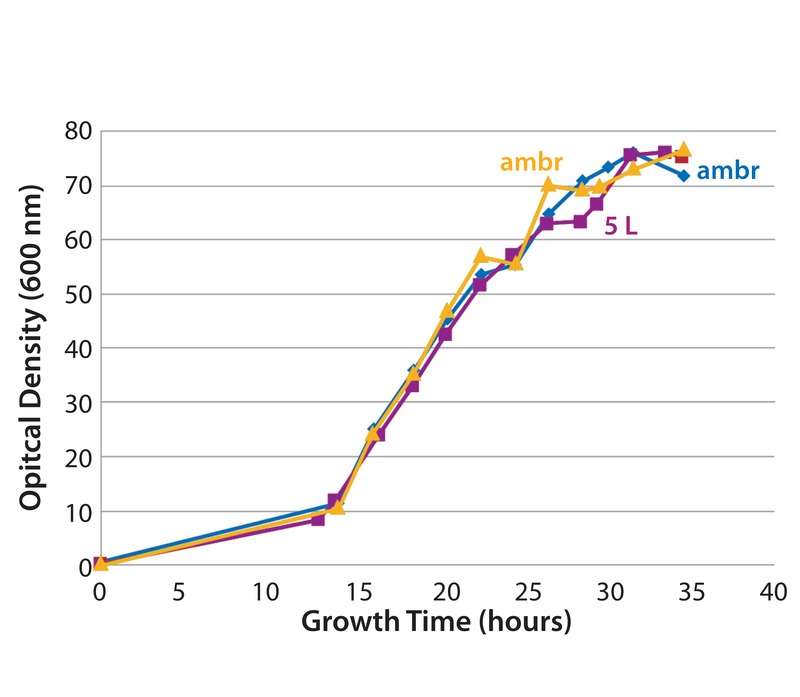 Plasmid DNA productivity also compared well between ambr 250 modular and 5-L bioreactors (data not shown), indicating that the single-use bioreactor can serve as a predictive model for bench-scale microbial processes. Time Savings: Table 1 depicts time savings achieved when using an ambr 250 modular bioreactor for a plasmid DNA product-development program. Our results indicate that major time savings come with vessel set-up and turnaround, as well as in preparation of ancillary equipment such as feed and reagent bottles for bioreactor monitoring. That is because the single-use bioreactors are presterilized, with precalibrated DO sensors and including multiple feed reservoirs, which significantly reduces the time needed for preparation of ancillaries and thus significantly improves throughput. Figure 5: Typical timeline of a microbial process development campaign compares the use of autoclavable benchtop bioreactors with single-use bioreactor models. Real-world operation of a plasmid DNA product development program at Cobra (including screening and fermentation development stages) using the same single-use bioreactor provided a 70% reduction in project timelines — from 46 weeks down to 14 weeks — compared with the same process based on a combination of shake flasks and autoclavable benchtop bioreactors (Figure 5). That increased productivity came from higher culture throughput and improved confidence in data quality. Those time savings allow for a significant acceleration in clients’ clinical development programs. It speeds programs to initial clinical studies and helps during later stage development when the time available to perform process development activities is restricted by the potential of complicating clinical development programs. We evaluated the application of a single-use miniature-bioreactor technology for improving the production of plasmid DNA. Our studies indicate that the single-use ambr 250 modular system presents a viable option for plasmid DNA production using E. coli in Cobra’s fermentation process. 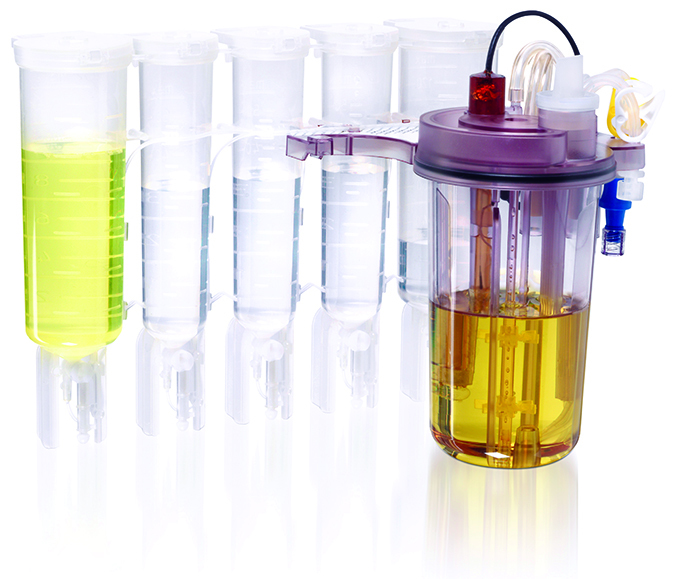 Unlike the performance of reusable benchtop bioreactors, the single-use minibioreactors provide highly reproducible cell culture growth across vessels and support high-resolution DoE-based approaches and design-space characterization for plasmid DNA process development. 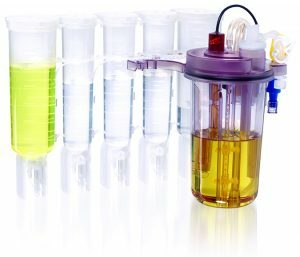 Cell culture performance of the single-use bioreactors also was comparable with that of a 5-L benchtop bioreactor, indicating that the new system is suitable for rapid scalability into larger bioproduction units. It could deliver increased speed to clinic for single-use, robust processes up to the level of 500-L fermentors. Additionally, using an ambr 250 modular system at Cobra has made a significant impact on improving throughput for plasmid DNA fermentation development. Thus, it has proven to be a cost-effective investment that has translated into an up to 70% reduction in plasmid DNA development project timelines. The combination of increased usability and reduced hands-on time with increased bioreactor platform consistency allows for nonproductive set-up time to be replaced with productive experimental work. That enables a greater number of more powerful experiments to be carried out with reduced levels of error and greater confidence in scalability of results. Integrating single-use miniature bioreactors into plasmid DNA fermentation development programs could enable the implementation of a robust platform process to generate GMP-compliant plasmid DNA rapidly and effectively at a scale that will be suitable for use in a range of cell and gene therapy clinical studies. 1 Strimvelis™ Receives European Marketing Authorisation to Treat Very Rare Disease, ADA-SCID. GlaxoSmithKline: 27 May 2016; http://us.gsk.com/en-us/media/press-releases/2016/strimvelistm-receives-european-marketing-authorisation-to-treat-very-rare-disease-ada-scid. 2 Gene Therapy Market 2015–2025. Roots Analysis: Punjab, India, 25 February 2015; https://www.rootsanalysis.com/reports/view_document/gene-therapy-market-2015-2025/85.html. 3 Viral Vectors and Plasmid DNA Manufacturing Market 2016–2026. Roots Analysis: Punjab, India: 19 October 2016; https://www.rootsanalysis.com/reports/view_document/viral-vectors-and-plasmid-dna-manufacturing-market-2016-2026/141.html. 4 Kibbe MR, et al. 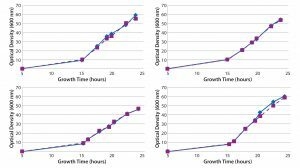 Safety and Efficacy of Plasmid DNA Expressing Two Isoforms of Hepatocyte Growth Factor in Patients with Critical Limb Ischemia. Gene Ther. 23(3) 2016: 306–312; doi:10.1038/gt.2015.110. 5 Nienow AW, et al. The Physical Characterisation of a Microscale Parallel Bioreactor Platform with an Industrial CHO Cell Line Expressing an IgG4. Biochem. Eng. J. 76, 2013: 25–36; doi:10.1016/j.bej.2013.04.011. 6 Lewis G, et al. Novel Automated Microscale Bioreactor Technology: A Qualitative and Quantitative Mimic for Early Process Development. BioProcessing J. 9(1) 2010: 22–25; doi:10.12665/J91. 7 Bareither R, et al. Automated Disposable Small Scale Reactor for High Throughput Bioprocess Development: A Proof of Concept Study. Biotechnol. Bioeng. 110(12) 2013: 3126–3138; doi:10.1002/bit.24978. Dr. Andrew Frazer is upstream development leader at Cobra Biologics, Keele, UK. Corresponding author Dr. Barney Zoro is product manager at Sartorius Stedim Biotech in Royston, UK, 44-1763-227200; barney.zoro@sartorius-stedim.com.